There is no place like Monaco, when it comes to glamour, frivolity and excitement. Monaco is the Mediterranean‘s epicentre of wealth and luxury, with beautiful superyachts lined up in its harbour all-year-round. Here the renowned Grand Prix Formula 1 Race is held each year, as the world’s elite gather to take part in cheering for the best and indulge in private parties aboard luxury superyachts. But there is more to Monaco then the Grand Prix and chic events! Monaco is often included in French Riviera charter itineraries and offers various activities and attractions for its visitors. Yacht charterers will enjoy a leisurely walk through Monaco’s old medieval town, where the Prince’s Palace is located, as well as the Oceanographic Museum or the exotic botanical gardens. There are plenty of fabulous restaurants offering French and international cuisine to suite every palate and enjoy a lovely evening out. Another important event that takes place in Monaco each year, is the Monaco Yacht Show. The show usually takes place in September at Port Hercules, with a huge fleet of beautiful luxury super yachts on display – from privately owned mega yachts to the most desirable charter yachts available on the market. 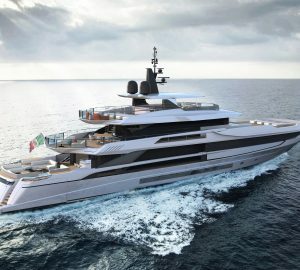 If you are contemplating on embarking on an exciting journey aboard a Monaco charter yacht and cruise the beautiful French Riviera in the Western Mediterranean, you might find some of the below articles of your interest … and do not hesitate to contact us for more information and a free assistance in organising your next dream vacation!